At least 15% of the population in the USA experiences pain or discomfort connected to their jaw alignment. TMJ is more common in women. Some scientists believe women have a more delicate muscle structure through the neck and into the connected jaw tissues. TMJ is often inaccurately diagnosed as Fibromyalgia, Tinnitus or hormonal changes. This leads care professionals to address symptoms rather than the source of the pain. The identification and treatment of TMJ requires expert care and advanced knowledge of the most innovative protocols in dental medicine. Our expert dentists offer extensive experience in treating TMJ disorders. Masterpiece Smiles also offers a variety of TMJ treatment options. TMJ sufferers often complain of headaches, earaches, tenderness of the jaw joints or muscles, dull aching facial pain and many also experience pain of the neck, shoulders and back. The best course of action if you suspect you suffer from TMJ disorder is diagnosis. Our doctors can assess your situation, symptoms and mouth to help determine whether TMJ treatment can help. 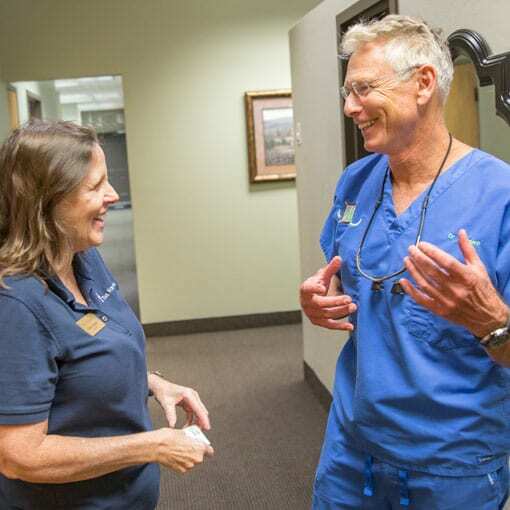 Masterpiece Smiles treatment options include exercises, medication, a custom night guard and much more. You may also benefit from BOTOX® or cosmetic dentistry options resulting in better tooth alignment. We customize treatment to each individual patient to reduce jaw muscle contractions resulting in far less pain, real headache relief and a significant reduction in medication use. Our doctors specialize in many TMJ treatments and other dental surgery. If you suffer from mouth or jaw pain let us help. You might be surprised at how many areas of your health are connected to your jaw alignment and the health of your teeth and gums. Find out if TMJ Treatment is right for you!